Turkey, being a Black Sea state and a member of NATO, is closely monitoring the developing crisis in Ukraine, because its results will have significant geopolitical consequences for the country. The economic and diplomatic relations between Turkey and Russia that have improved over the past decade, its increasing energy dependence on Russia, and 62 years of membership in NATO, are likely to be exposed to a severe test in the light of the Russian-Ukrainian conflict. Turkey certainly cannot remain indifferent to the problem of Crimean Tatars in Crimea. This is an issue of geo-strategic importance for the country, due to the historical Turkish heritage and family connections, which significantly affect Turkish foreign policy, prompting Ankara to project its “soft power” on this seaside region. Moreover, since Turkey controls the only entrance to the Black Sea (the Dardanelles and the Bosphorus Straits) it can play an important role in case of potential escalation in the conflict. The current crisis could create significant problems for Turkey at various levels. First of all, from the geopolitical point of view, a sharp increase in political and military control exercised by Russia over Crimea will change the strategic balance in the Black Sea region, thus affecting the interests of Turkey in the region. Any strengthening of the Russian Black Sea Fleet will be a matter of concern for Turkey. Though the modernization of naval forces in Turkey has been quite successful, these will always be stretched between different regions, because of the need to maintain the balance of power with Greece in the Aegean Sea, protect their key geopolitical interests in the Mediterranean Sea and maintain a sufficiently strong presence in the Black Sea. Secondly, Turkey is concerned about the fate of the Crimean Tatars in Crimea, because of its reunification with Russia. Crimea has a population of approximately 300,000 Turkic Tatars, who are indigenous inhabitants of the peninsula, and Turkey fears that this historic event could negatively affect the position of the Crimean Tatars. Such a development could complicate the difficult political situation in Turkey, which has a large number of Crimean Tatars, who, in their turn, can become a significant domestic factor in the municipal, parliamentary and presidential elections of 2014-2015, which are extremely important for the present government. We should note that a number of political and economic measures, prudently taken by the governments of Crimea and Russia, have significantly reduced the fears of Turkey for the fate of the Tatar community in Crimea. Turkey welcomed the recognition of the Crimean Tatar language as a state language, and the radical decisions concerning land, claimed by the Crimean Tatars, while the former Ukrainian authorities never dared to do this. To realize the limitations and restrictions of Turkey’s responses to the current crisis, we need to take into account the specific character of Turkish-Russian relations. The parties managed to de-escalate tensions, experienced in the last decades of the “Cold War” and worked on ending them. 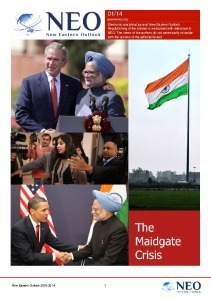 Since the beginning of 21st century, both countries have focused on improving their economic relations. From 2003 to 2013, Turkish exports to Russia increased almost four-fold, while Russian exports to Turkey, during the same period, increased by about three-fold. At present, Russia is the second largest trading partner of Turkey, after Germany. In 2008, Russia was actually the first. Moreover, Turkish imports from Russia greatly exceed exports to Russia, which is largely due to the strong dependence of Turkey on Russian oil and natural gas. 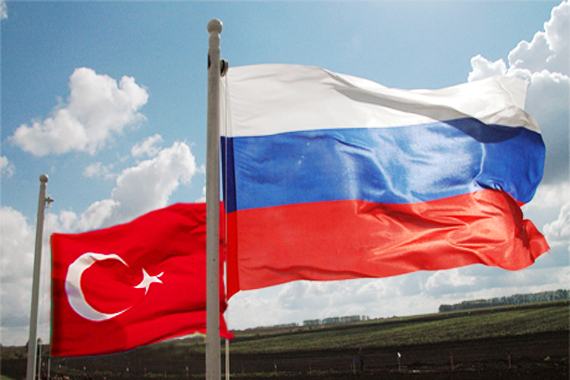 In addition to the sharp increase in mutual direct investments and commodity circulation between the two countries, Turkey and Russia have begun to cooperate on the implementation of more strategic investment projects. As part of one such project, Russia will build Turkey’s first nuclear reactor in Akkuyu. Moreover, in 2012, Turkey became a partner in the dialogue with the Shanghai Cooperation Organization (SCO), which is led by Russia and China, and subsequently, Prime Minister Erdogan twice suggested that Turkey might try to become a full member of the SCO, if the process of its entry into the European Union comes to a standstill. In addition to the improved economic and diplomatic relations at the country level, Erdogan and Putin also have a good personal relationship. Erdogan attended the opening ceremony of the Olympic Games in Sochi, despite strong objections from the Circassian diaspora in Turkey. Turkish construction companies were involved in the construction of Olympic facilities, and President Putin thanked his counterpart, saying that the Olympics was their “joint effort”, thus giving the “green light” to the active participation of Turkish contractors in the preparations for the Football World Cup, which will take place in Russia in 2018. 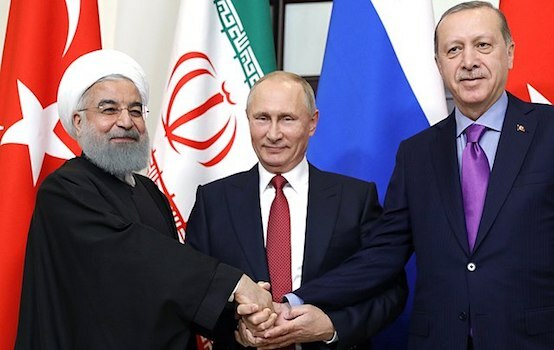 Although Turkey and Russia had been on opposite sides in such major issues as the Syrian civil war, they stuck to a pragmatic approach in their relations, and tried to smooth over their differences, in order to improve their economic and diplomatic ties. If the conflict between Russia and NATO had been kept at a minimum level, Ankara would have continued to improve its relations with Russia, without encountering any skepticism from its transatlantic counterparts, remaining an active member of the alliance and without calling into question its loyalty because of its relations with Russia. At the same time, it became apparent that the situation in Ukraine seriously hampers Turkey’s maneuvering. If Turkey were asked to support economic sanctions or, even worse, military action against Moscow, it would have to choose between its allies and the new partner. Ankara has already been heavily criticized by its Western partners after mid-2013 on a range of issues, including the violent suppression of civil protests in June 2013, choice of the vendor of air defense/missile defense systems in favor of China, and the corruption scandal within the higher levels of the government. Failure to take into account, or a direct refusal to comply with NATO requirements, will question Turkey’s commitment to the alliance. On the other hand, supporting the actions of NATO, Ankara faces the danger of destroying its relationship with its major economic and energy partner. In any case, Turkey will have to find compromises. And Turkey is in no hurry to take anti-Russian actions. Its own interests are more important. Alexander Rogozhin, PhD in Economic Sciences, head of the department of socio-economic problems, IMEMO RAN, Center for Development and Modernization, exclusively for the online magazine “New Eastern Outlook”.